Create a magnetic receptive surface with this primer! This wall primer utilizes Micro-Iron technology to turn any wall into a magnetic receptive surface. 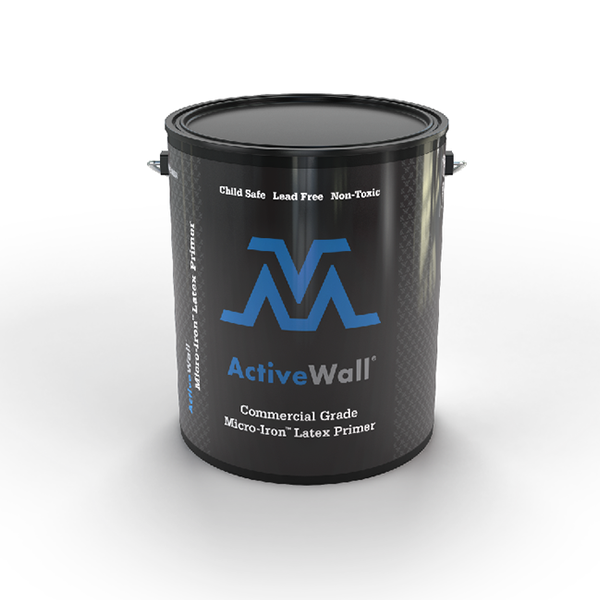 Use ActiveWall Micro-Iron primer for the most dynamic variation of the Visual Magnetics Graphic System. Surfaces primed with ActiveWall can be painted any color and are then ready to accept the double-sided InvisiLock sheet magnet. A wall or surface may be painted with ActiveWall magnetic receptive primer for the most versatile and dynamic variation of the graphic system. Surfaces primed with ActiveWall are then ready to accept the double-sided InvisiLock Sheet Magnet.